A ‘New Revised Draft’ script for Doctor Who The Movie screenplay by Johnny Byrne, never actually filmed or produced. 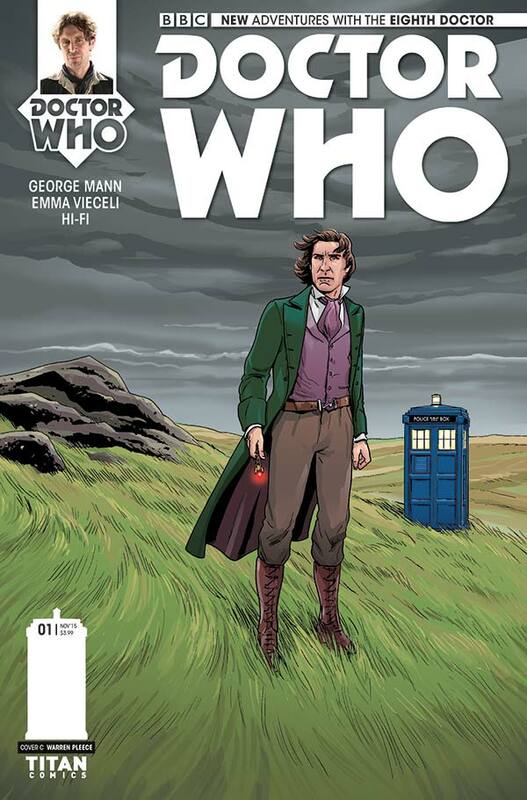 For a little while now, I have been reporting on the Tenth Doctor Titan Comics covers, featuring previously unseen photographs. 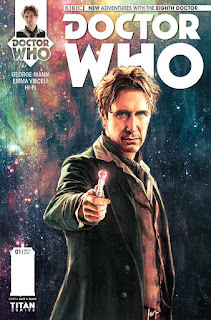 Well, starting on 28th October a brand new series is starting - featuring the Eighth Doctor. Issue One has a beautiful painted cover by artist Alice X. Zhang, based on the Night Of The Doctor photocall. Also available are two variants, one of which has art by Warren Pleece. 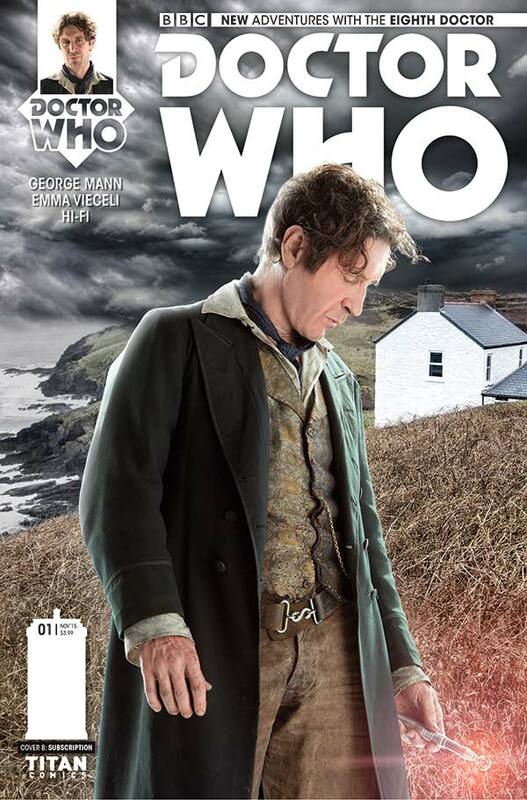 The other is a photo variant, using a previous unseen image from Paul McGann’s photocall from Night Of The Doctor. I’d love to see more of these shots! 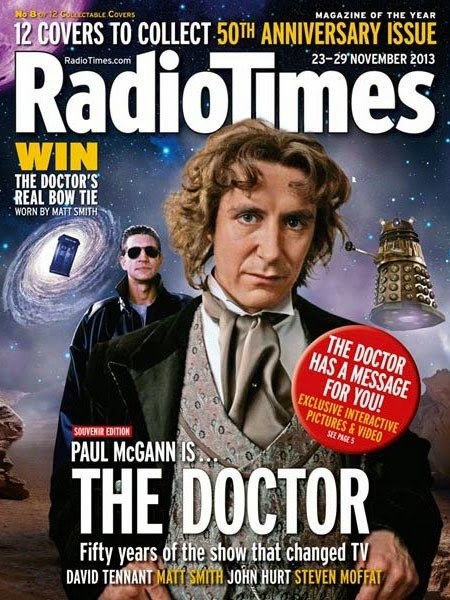 As well as getting a great photo opportunity with Paul McGann and the original TARID console, I also had two official photoshoots with him. One was a single, the other with Emma Campbell-Jones who played the Cass, the pilot of the crashing spaceship in Night Of The Doctor. 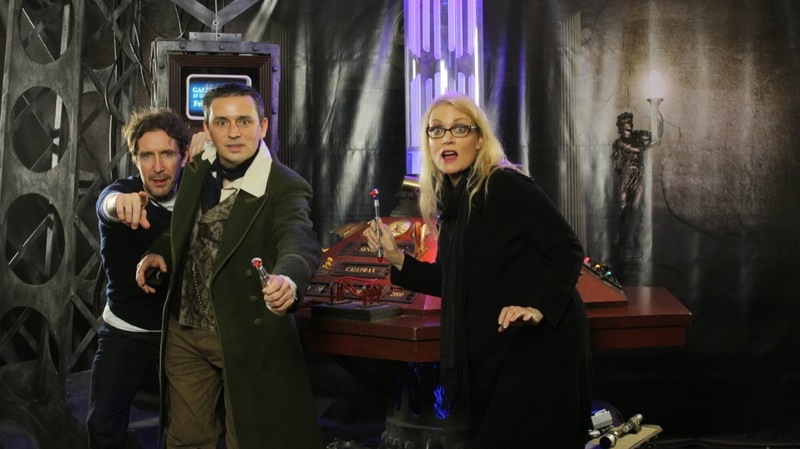 This last weekend saw the 25th Gallifrey One convention in Los Angeles. 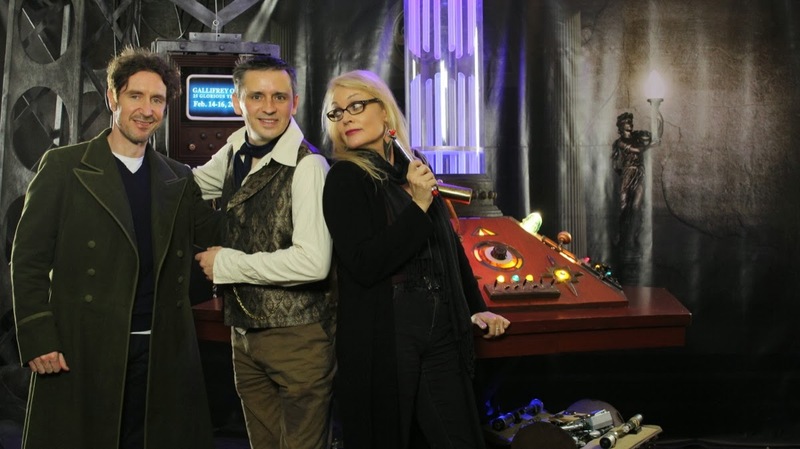 As part of the activities on offer, there is the chance to have your photograph taken with the screen-used TARDIS console from the 1996 tv movie. 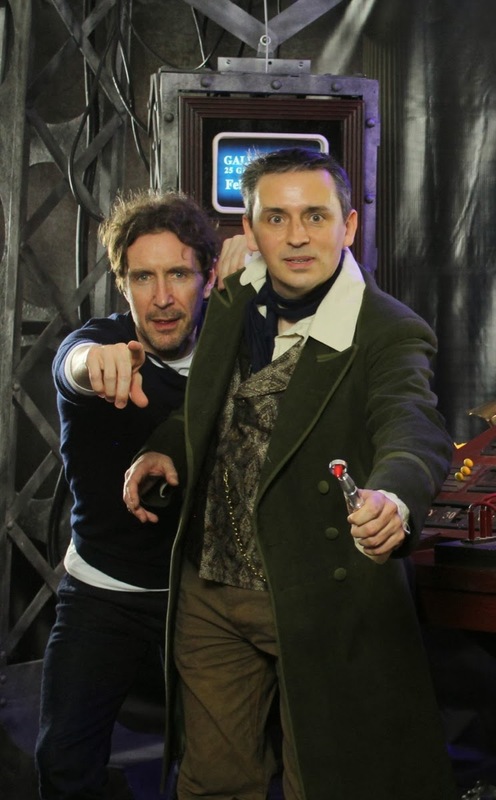 Since Paul McGann and Daphne Ashbrooke were in attendance, there was the opportunity to have a unique photoshoot with the lead actors as well. I signed up and had my chance directly after my Advanced Tailoring panel on the Sunday afternoon. Paul recognised me from the couple of official photoshoots earlier in the weekend, and once again he was very taken with my coat. After taking the shot I was a bit cheeky and asked if he’d like to try it on. There were some panicked faces around the room, but Paul was more than happy. Sadly it was a little large for him, but he seemed to like the feel of it. I was then doubly cheeky and asked if we could get a quick shot of him in the coat. Faces around the room looked even more panicked, but Paul was again more than game and he was happy to pose with me. I’m very proud that Paul liked the coat, and was happy to pose in it for me. Thanks Paul!! 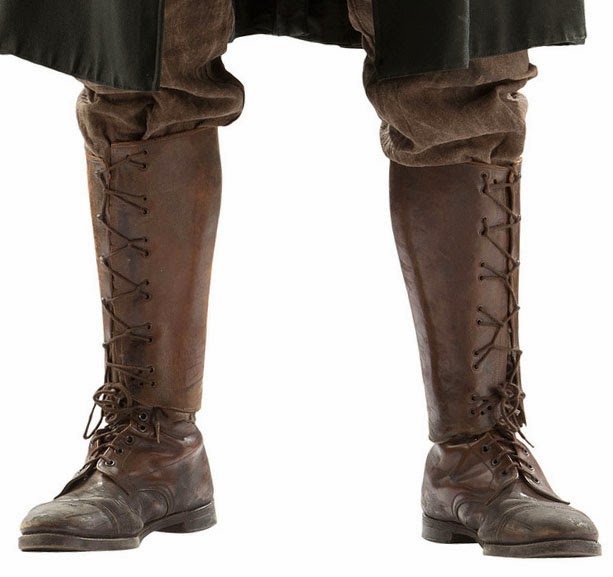 A lot of people have been a little confused by the laced leather footwear The Doctor is wearing. Some people seem to think they are calf boots, laced from the bridge of the foot to just below the knee. Well, they are actually ankle boots with leather gaiters around the shins. 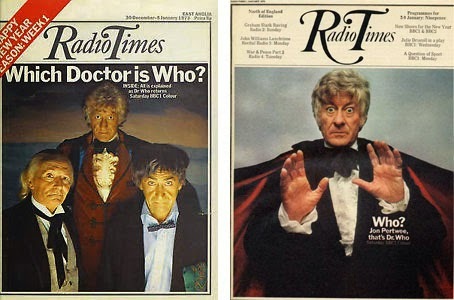 These are World War One issue, and fit in perfectly with the Edwardian styling of The Doctor. 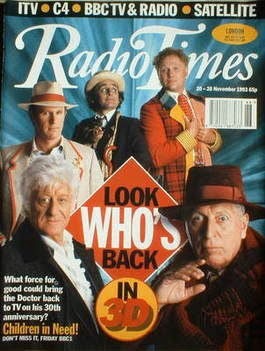 As we’ll seem they aren’t worn in the usual way - but then that’s The Doctor all over. As ever, the best place to track down a set is eBay, where you can pick up a pair of genuine period gaiters for around £60 to £100. The design you need have ideally six (though I have seen some with either five or seven) studs with leather loops that hook around them to fasten them together. Here are some examples I’ve found on eBay recently. This ones a really nice set, along with a perfect belt and a nice map bag which wouldn’t look out of place on the costume. 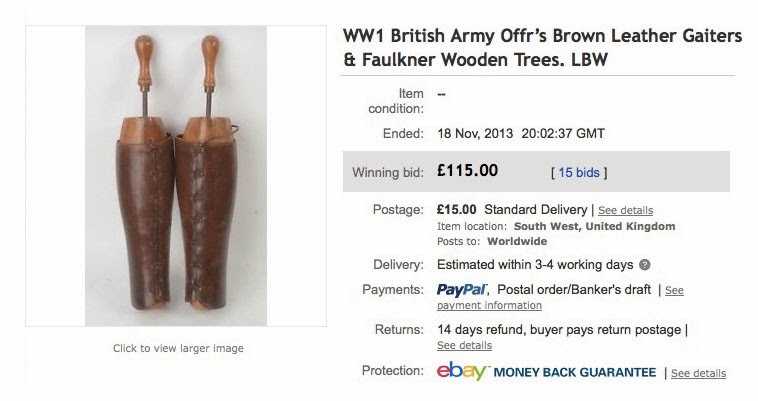 This set come with a nice set of wooden formers to keep the gaiters in good condition. 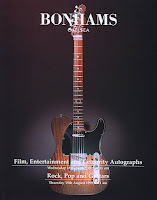 I did bid on these, but it went over my allotted budget, which was a shame. Finally here’s the set I bought myself. Here’s the full size version of the Eighth Doctor’s cover.